Job Service Employer Committee Chair Whitney Cantlon presents the award to the crew at Polson Theatres, Inc.
Lake County Job Service Manager Debbie Krantz, left, and Job Service Employer Committee Chair Whitney Cantlon, right, present an Employer of Choice Award to Deanne Richardson of SAFE Harbor. 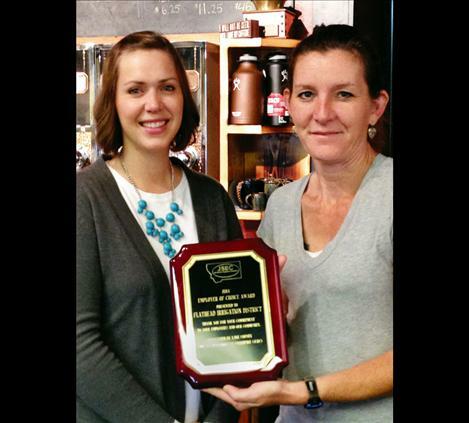 Job Service Employer Committee Chair Whitney Cantlon, left, presents the award to Johanna Clark of the Flathead Irrigation District. POLSON — The Lake County Job Service Employer Committee recently recognized three local organizations as this year’s “Employers of Choice.” This award recognizes a small, medium, and large scale business that demonstrates a high level of commitment to their employees and the surrounding community. • SAFE Harbor: SAFE Harbor was chosen as an Employer of Choice because of the positive work environment they provide for their staff and their active involvement in the community. SAFE Harbor encourages employee development and teamwork, offers a unique range of benefits, and actively engages in community outreach. Despite their incredibly busy schedules, management still finds fun ways to recognize their employees, making them feel trusted and valued. 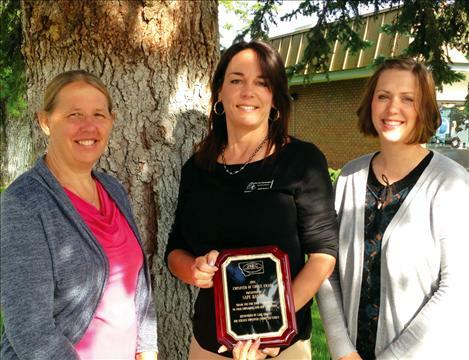 • Flathead Irrigation District: The committee selected Flathead Irrigation District as an Employer of Choice because of their collaborative workplace culture and community mindset. Managers continuously foster a culture of employee growth, teamwork, and autonomy. They also support local agricultural programs, including a $500 scholarship for graduating seniors. • Polson Theatres, Inc: Polson Theatres was also presented with an Employer of Choice award, in recognition of their open, cheerful work environment, employee retention, and service to the Polson community and beyond. 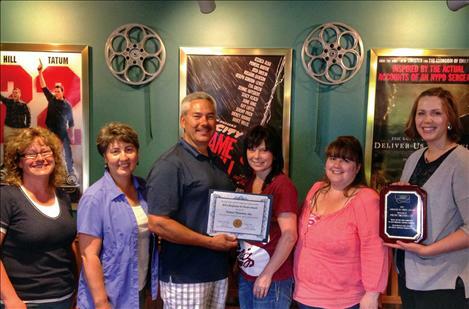 Many Polson Theatre managers have been with the company for more than 20 years, a sure sign of a thriving employer. Along with competitive benefits and flexible schedules, management encourages employees to be active in the community, where many have served as coaches, committee members, and civic leaders.